American Job Centers are equipped with resources to remove all sorts of barriers, including disability. 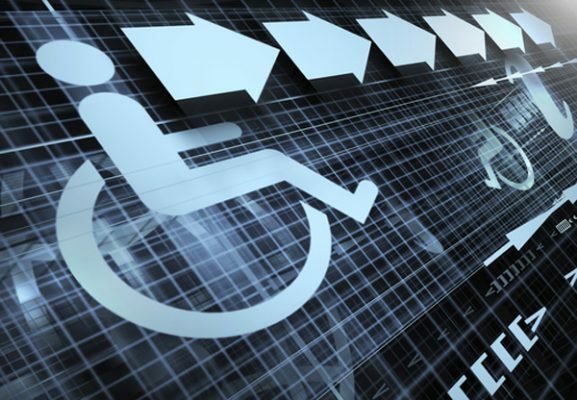 Accessibility is provided through physical and telecommunication resources in the center. Partnerships with groups such as Vocational Rehabilitation and PFH further enhance the center’s ability to help. Both agencies routinely collaborate with the center and both have local offices near the center. If you want to work but have a disability that keeps you from finding or keeping a job, Vocational Rehabilitation (VR) may be able to help you. VR specializes in employment and training services that can assist you in becoming employed. A VR counselor will determine your eligibility for services. To be eligible, you need to have a physical or mental impairment that causes problems with working and need VR services to be successfully employed. Once eligible, you will work with a counselor who will help you develop a plan for your rehabilitation. We will give you vocational information and guidance allowing you to make informed choices about your vocational plan. VR offers a wide range of services that are individualized for your needs. You and your counselor decide which services will help you become employed. Some of the services that may be available include guidance and counseling, job-seeking skills, job placement help, and vocational training. VR also provides assistance with transition services, supported employment services, assistive technology services, and the Ticket to Work program. To reach VR in Joplin, call 417-629-3067 or toll-free, 1-877-222-8964. VR has an office in Joplin at 801 E. 15th Street. PFH in Joplin may be reached at 417-659-9911.